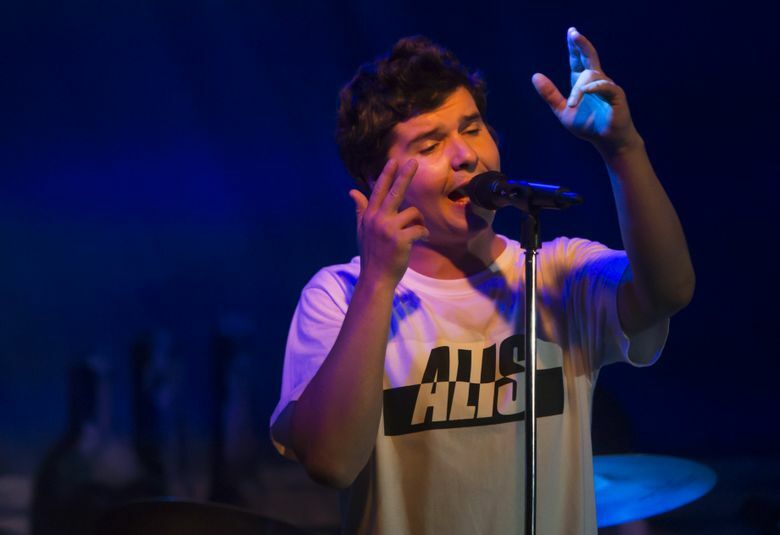 Danish pop band Lukas Graham, which is on the rise on the pop charts, played a jubilant, explosive show at the Crocodile — and it’s probably their last intimate-venue show for a while. 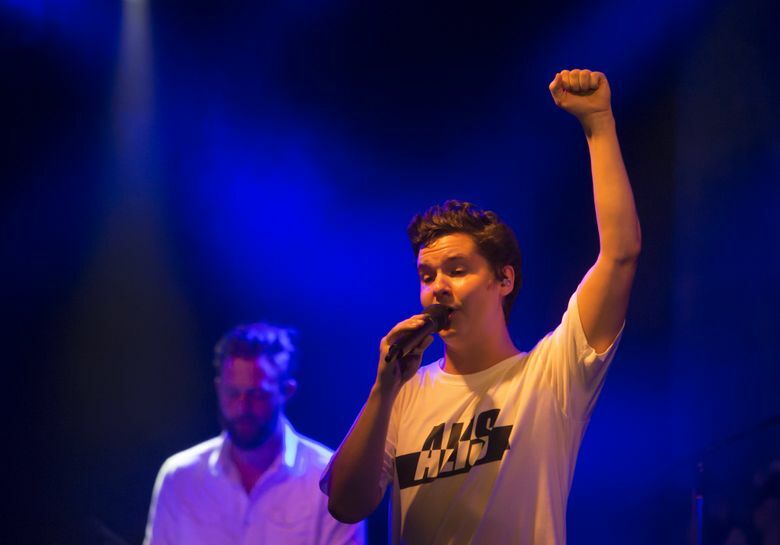 Danish pop star Lukas Graham is having himself a week. 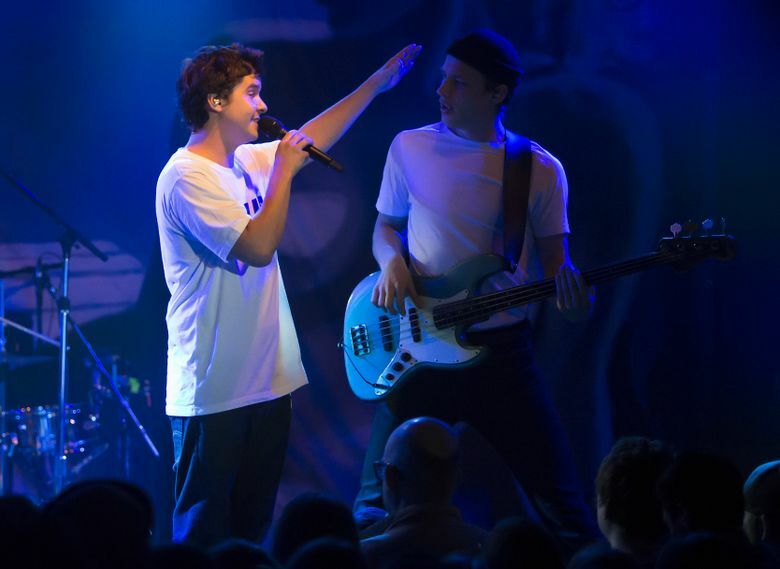 On the heels of his self-titled release landing at number three on the Billboard 200, his band — also called Lukas Graham — turned in a jubilant, explosive show at the Crocodile on Tuesday (April 12). If you didn’t catch him, the next chance you get will probably be in a far less intimate setting, as Graham said he already turned down a venue upgrade on this tour, which was offered as his piano-driven single “7 Years” climbed the charts to the number-two slot on the U.S. Billboard Hot 100. 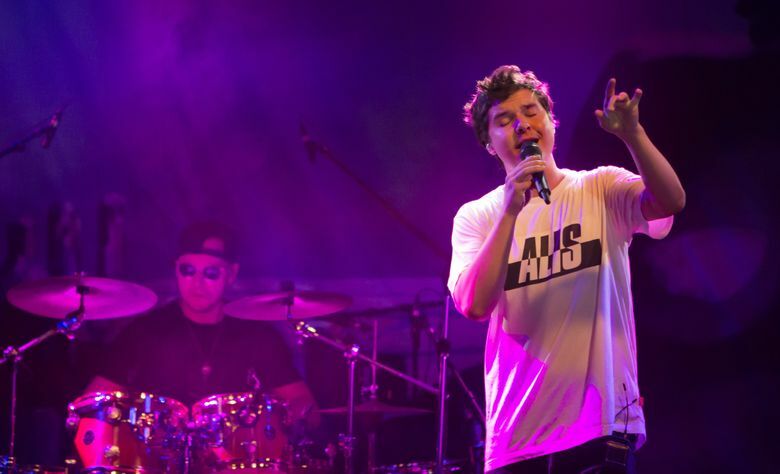 Graham, whose full name is Lukas Graham Forchhammer, likes to call his style “ghetto pop,” a reference to both the R&B influence on his music, but also to the fact that — as he said on Tuesday — one out of four of his childhood friends is in jail at any given time. Those experiences came through in “Better Than Yourself (Criminal Mind Pt. 2),” a stark ballad riffing on Beethoven’s “Moonlight Sonata,” which plays out as a letter to an incarcerated friend. Perhaps the most impressive thing about Graham’s 70-minute show was his ability to switch and meld styles while exuding the confidence of someone on his fifth American tour, instead of his first. And he did it all while opening up about the death of his father three years ago in a couple of songs, “You’re Not There” and “Don’t Worry About Me.” In particular, “You’re Not There,” with its club-ready beat, had the largely underage crowd dancing despite the gloomy lyrics. It was fascinating to hear another male pop star who sings in the upper register after seeing Justin Bieber’s bloated roadshow at KeyArena last month. While Bieber’s singing can be breathy and punchless, Graham’s voice is like a welding torch — precise and powerful. The two artists have at least one thing in common: Young women seem to love it when they take their shirts off. By the time Graham busted out a blazing version of his anthemic “Take The World By Storm” — halfway through the show — Graham’s shirt was gone and the crowd had reached a fever pitch. The audience roared back their answer. Graham and his band are about to be superstars.